Being an instant goes a long way—we’d play it no matter what, but at least now it’s got some flexibility to it. I’d rather have this in my 5-drop spot than almost any creature, so I’m fine taking this one early. 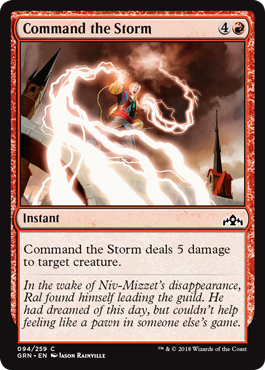 Plus, as with any color that touches Izzet, spells have a slight bonus thanks to the various cards that care about them.